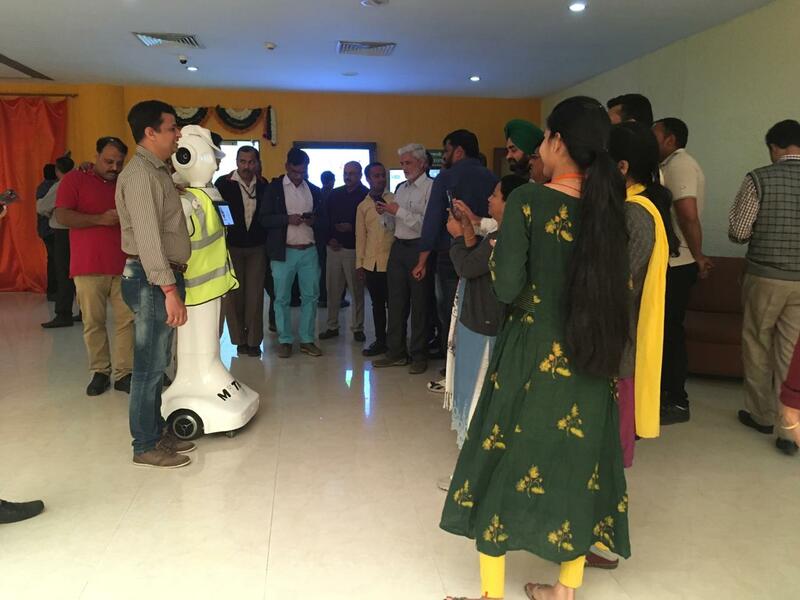 Meet Mr. Mitra, safety engineer at Indian Oil Corporation Limited - Invento Robotics: Robots for customer engagement. When Mitra robot spoke out this message during the inauguration of the public limited company’s brand new innovation center, the gathering of a select bunch of staff members, upper level management and chief guest Mr. Prabodh Nathan couldn’t stop clapping. 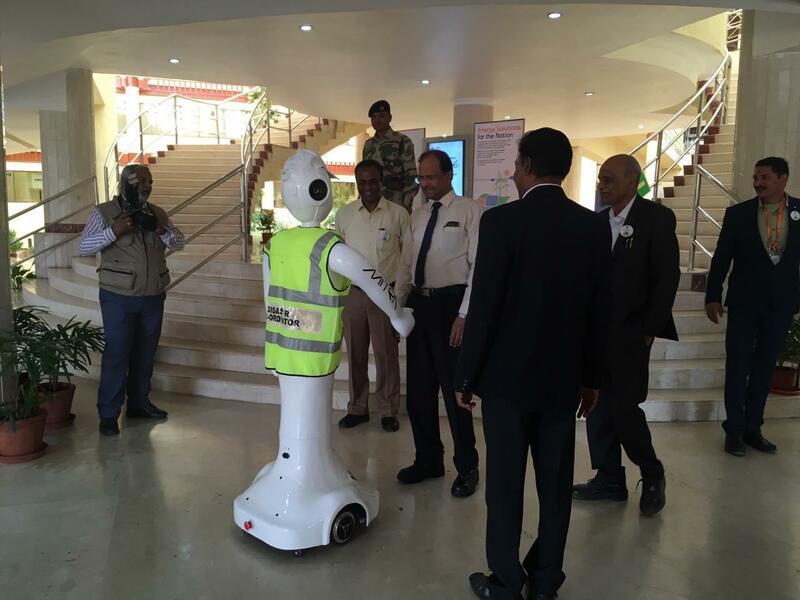 Mitra robot, dressed in a security vest during the inauguration, was brought the Information Technology team that was overlooking the development of the innovation center. Mitra’s participation was kept as a surprise factor and was only revealed in the last few minutes before the arrival of the directors and chief guests. Post inauguration, the meeting area, which generally remains quiet, began echoing with Mitra’s answer to the funny as well as trivial questions. 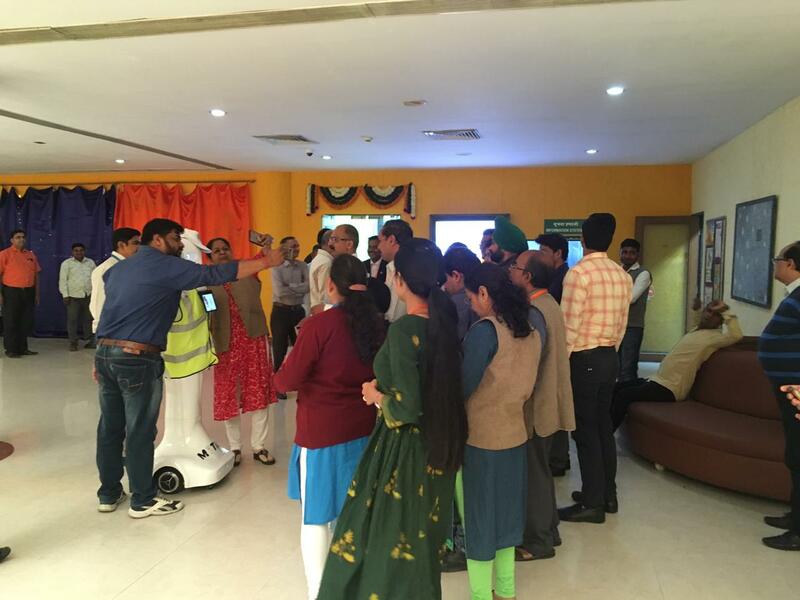 As usual, people were joyed to see the humanoid robot in action.